Each year in Quebec, 76 people die and 50 are hospitalized due to drownings or near-drowning incidents (INSPQ, 2008). National statistics are just as alarming, as drowning is among the top four leading causes of death among Canadian children and teens. Swimming level: incidents can be prevented by first verifying the swimming level of all students and only allowing students who have taken formal swimming lessons to take part in the activity. 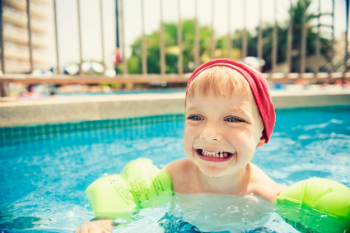 Despite a child’s ability to swim, further precautions should be taken, as even “strong” and “adequate” swimmers have been known to drown. (American Academy of Pediatrics, 2010). Supervision by trained individuals with expertise in lifesaving: Inadequate supervision is among the common risk factors associated with drowning (Pelletier and Gilchrist, 2011). Even with lifeguards present, additional supervision adds another layer of protection against drowning. According to a 2011 coroner’s report, chaperones who participate in school outings to aquatic centres and water parks should be properly trained, and a clear emergency plan should be in place for all such outings. Chaperones, as well as teachers and other staff need to understand their role in the supervision of children under their responsibility. This recommendation can also be further enhanced by the use of a buddy system, and a systematic counting of students at regular group gatherings during field trips. As a trauma centre, The Montreal Children’s Hospital encourages children to take part in physical activity but also emphasizes the importance of safety. While having lifeguards on duty and taking swimming lessons are vital safety tools, schools must provide increased supervision of students during swimming activities as an equally important drowning prevention tool. Like many sports and recreation activities, swimming presents a risk for all those who participate. Those responsible should reconsider such activities if safety precautions cannot be ensured.